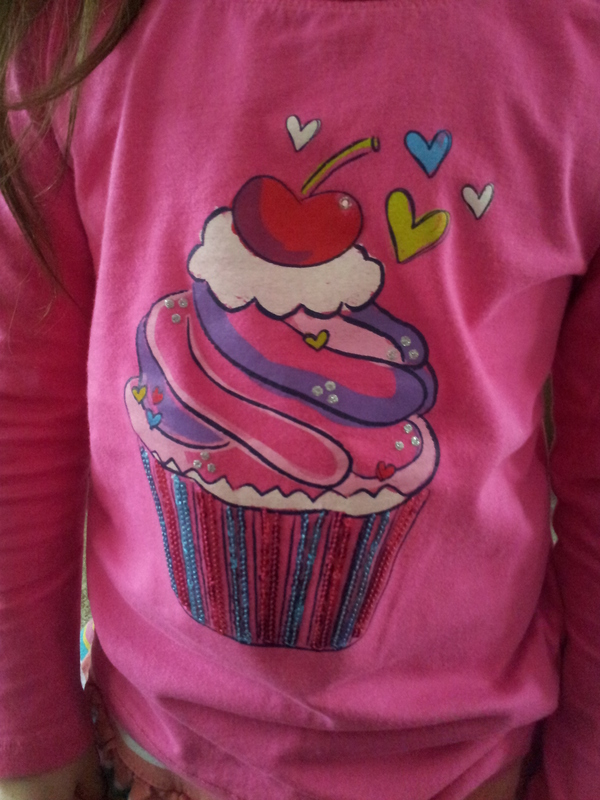 Why do I have children? 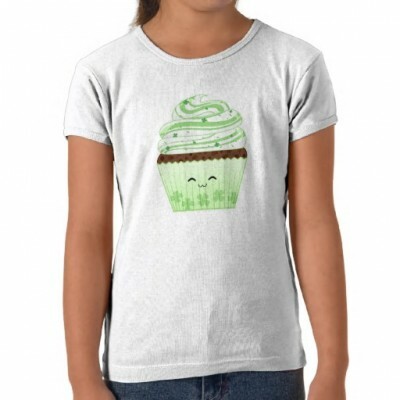 So that I can endlessly dress them up in cupcake attire, of course! This is my daughter’s newest gift from The Children’s Place. 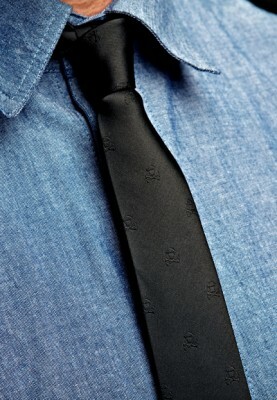 Alas, they did not come in my size. 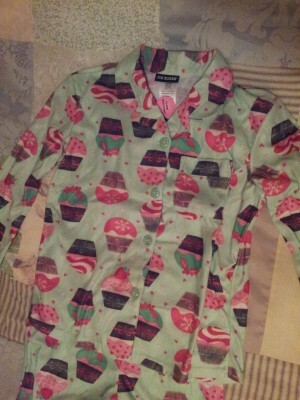 Check out the new cupcake pj’s I just scored for my daughter at K-mart. She wasn’t nearly as excited as I was, but it’s my excitement that counts, right? 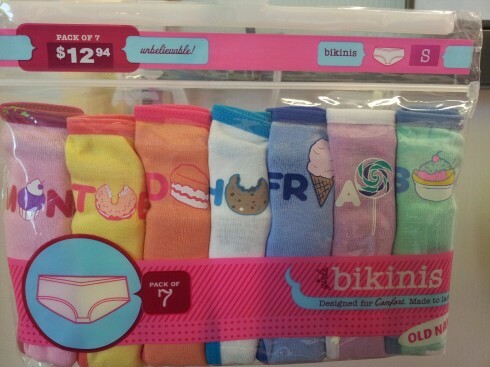 People have been stamping cupcakes on undies for a while now, but these cuties might just take the cake. I really wish I knew someone who was potty training so I could buy these for them! 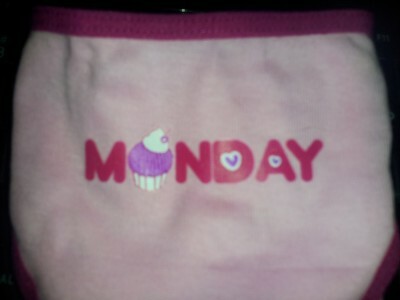 Unfortunately, the potty training boys of the world have footballs on their training pants, but the girls are in luck. 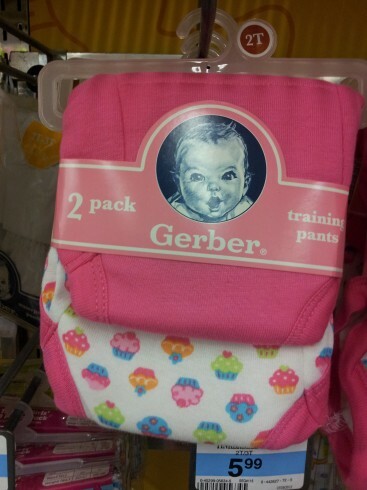 Well done, Gerber, well done.